1 edition of The Hessian fly, Cecidomyia destructor, in Great Britain in ... found in the catalog. Add another edition? 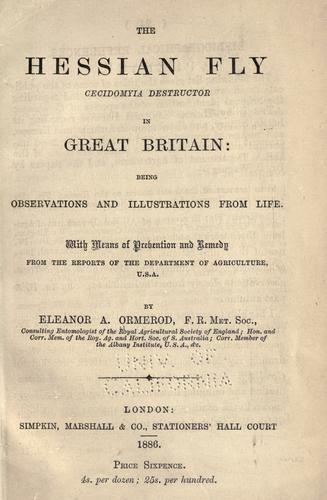 Are you sure you want to remove The Hessian fly, Cecidomyia destructor, in Great Britain in 1887 from your list? 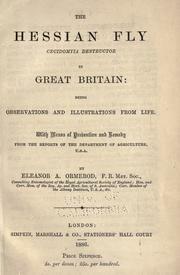 being mainly reports of British observations with illustrations from life and some means of prevention and remedy. Published 1886 by Simpkin, Marshall & Co. in London . 24 p. incl. illus., double map.